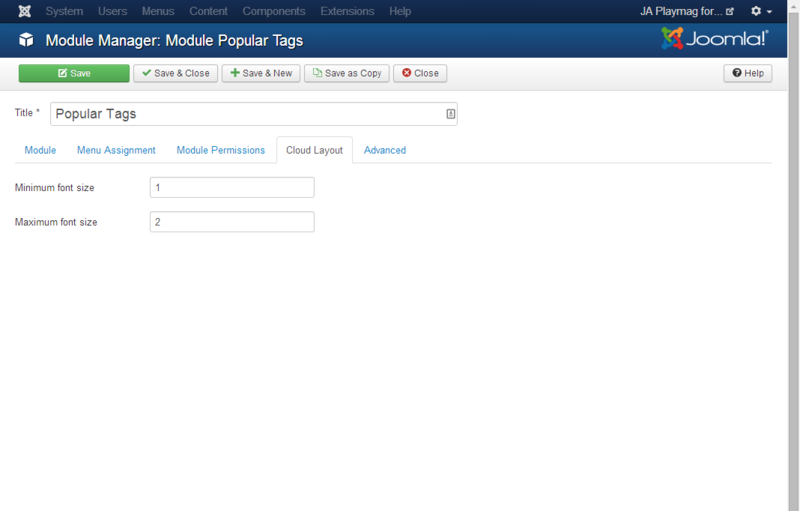 Custom HTML Module: We have styled (CSS) for several Custom HTML modules using different div classes. 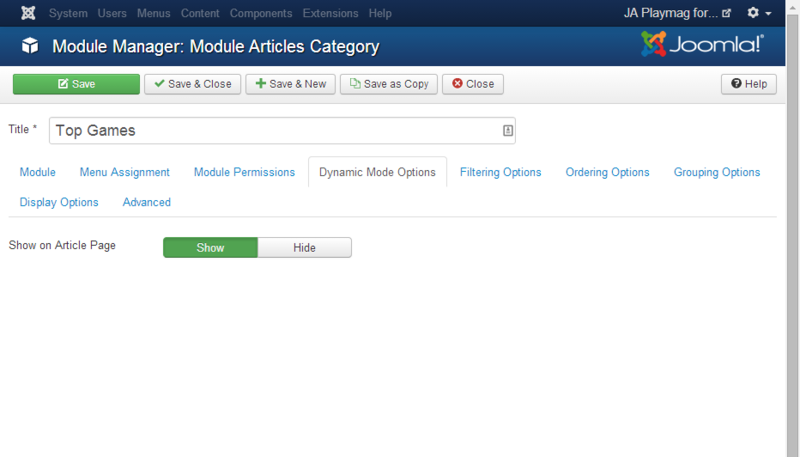 You should check out the HTML codes in these module and follow the same format in order to get it displayed correctly. 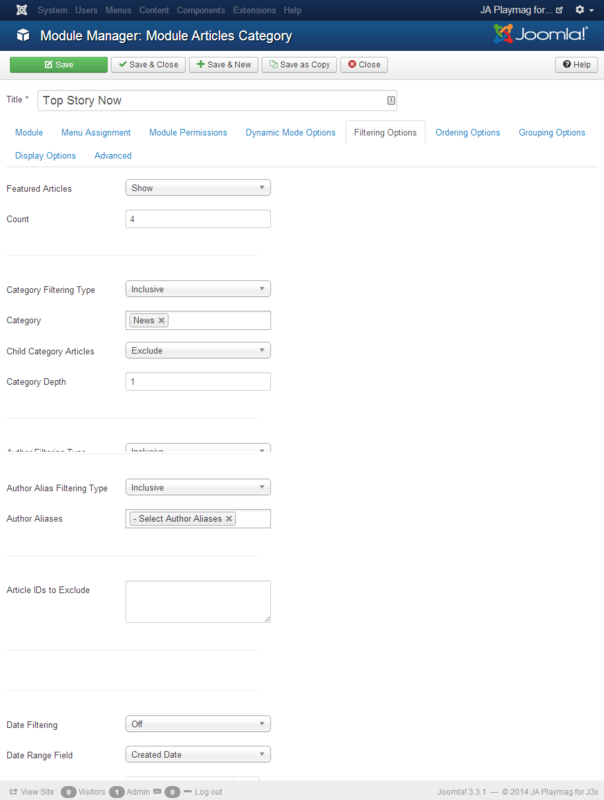 We do also provide the HTML code for your references. 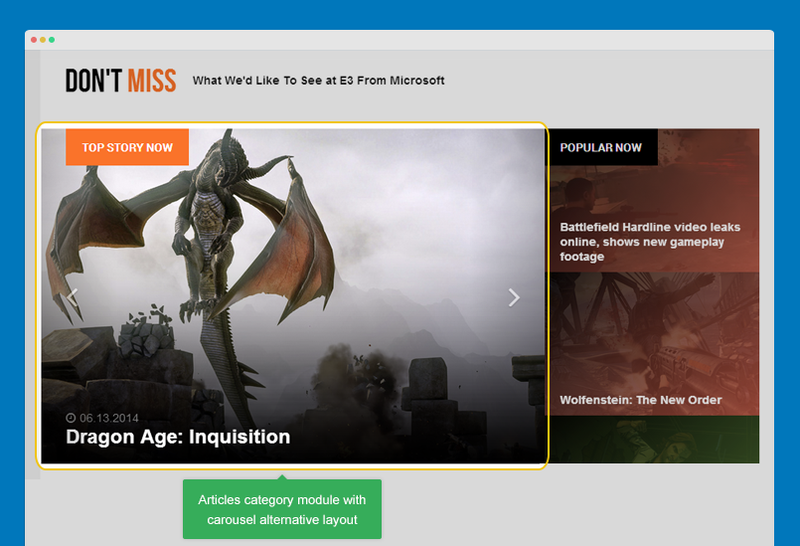 Firstly, please turn off the editor. 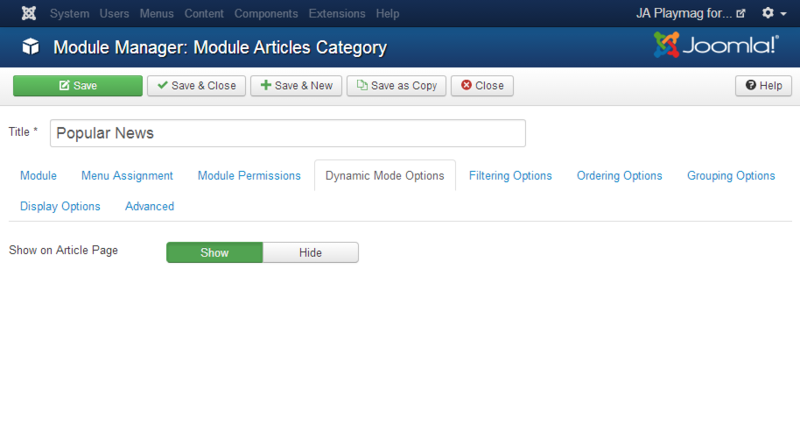 Go to: "System >> Global configuration", select "Editor - None" for the "Default Editor" field. 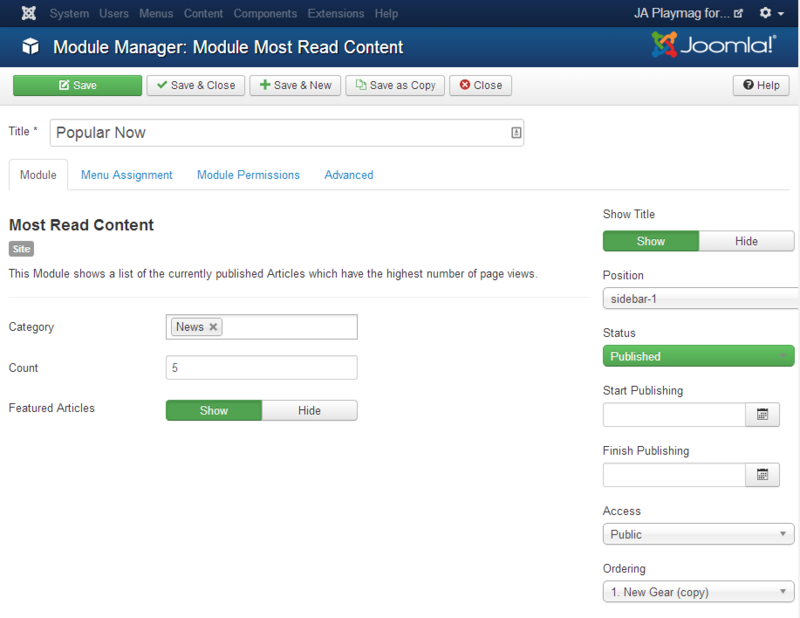 This Module shows a list of the currently published Articles which have the highest number of page views. 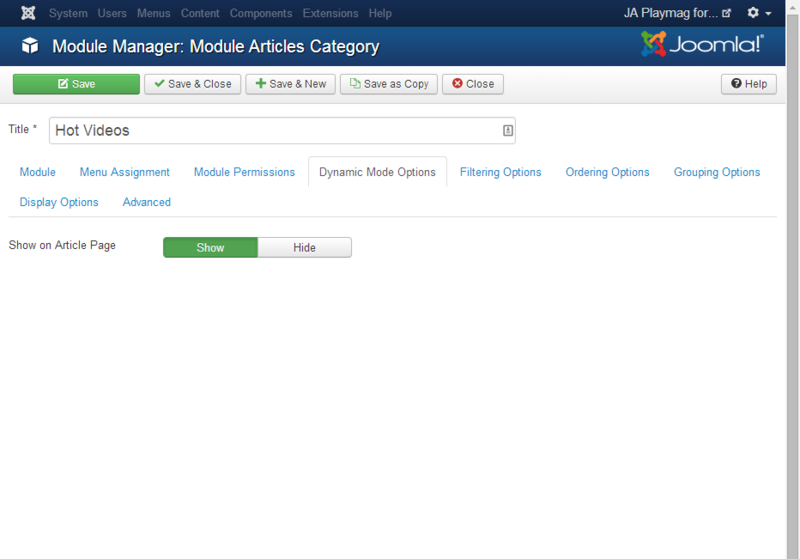 To assign alternative layout for the module, from the module back-end, open the "Advanced" setting panel, select layout you want in the "Alternative Layout". 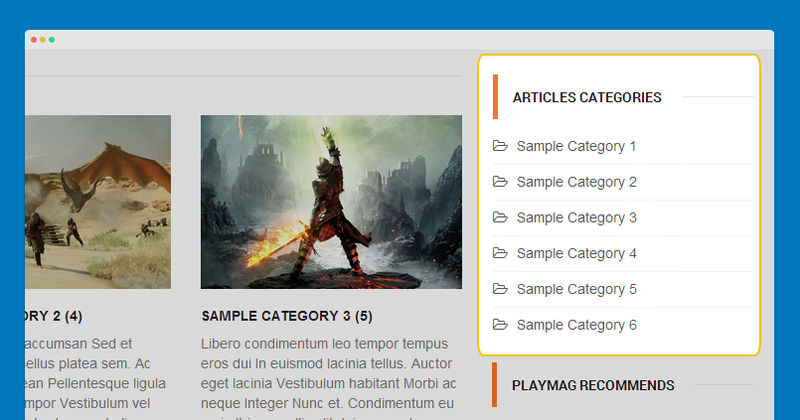 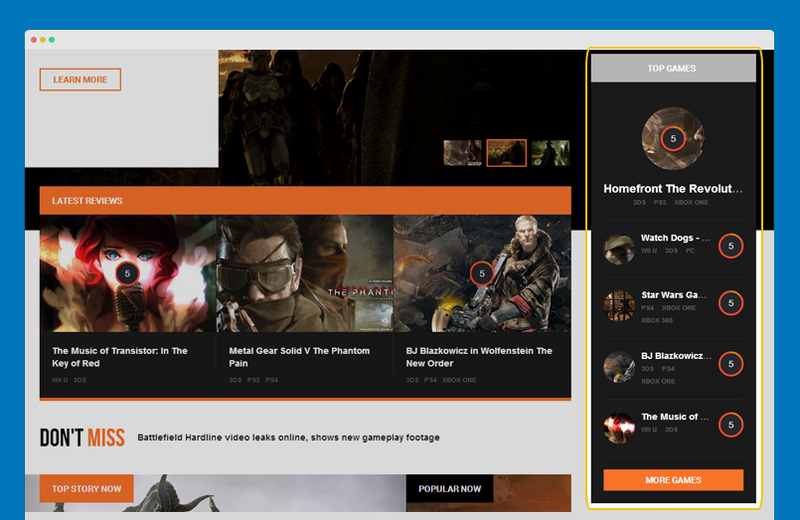 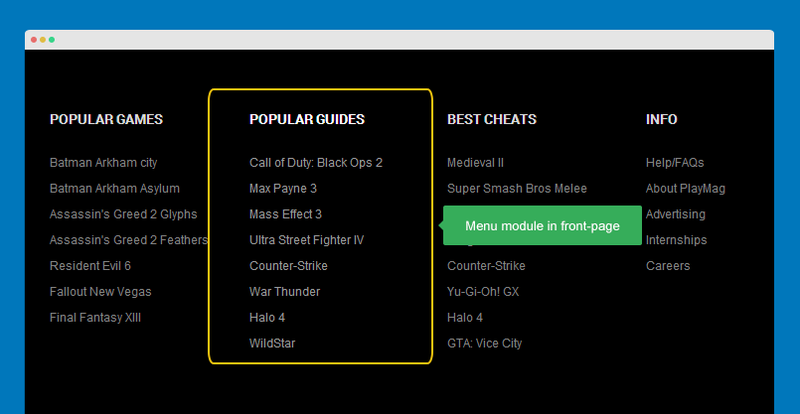 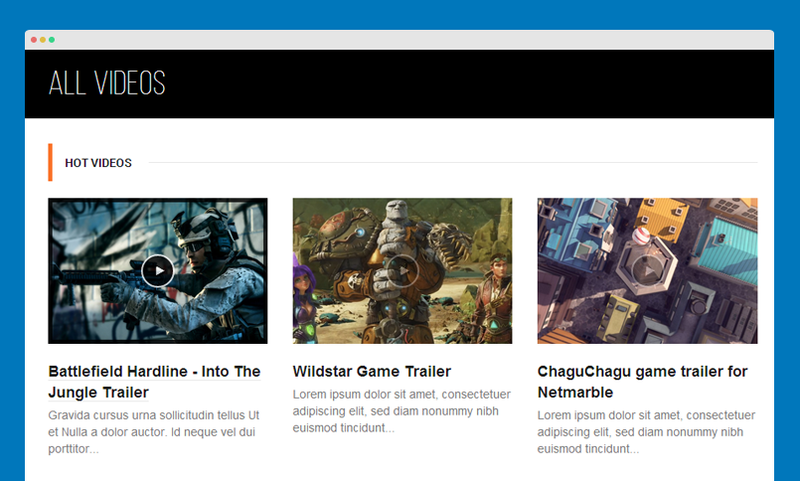 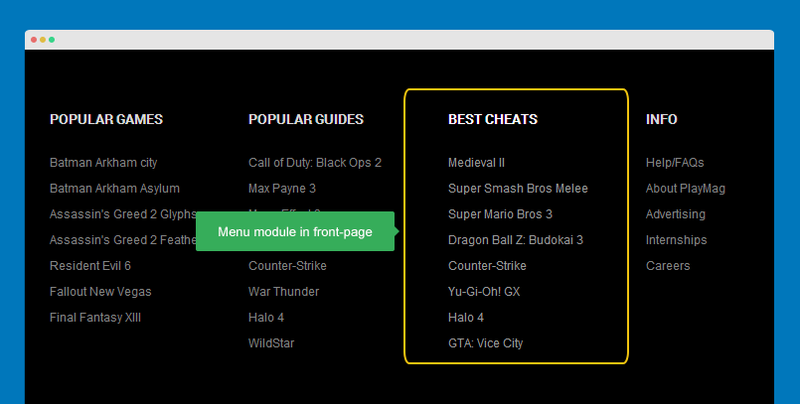 The layout files are located in templates\ja_playmag\html\mod_articles_category\, you can customize the layouts or create new layout based on the layouts. 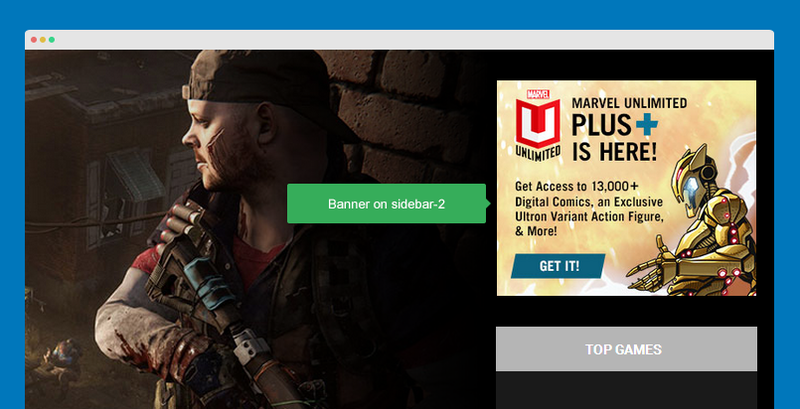 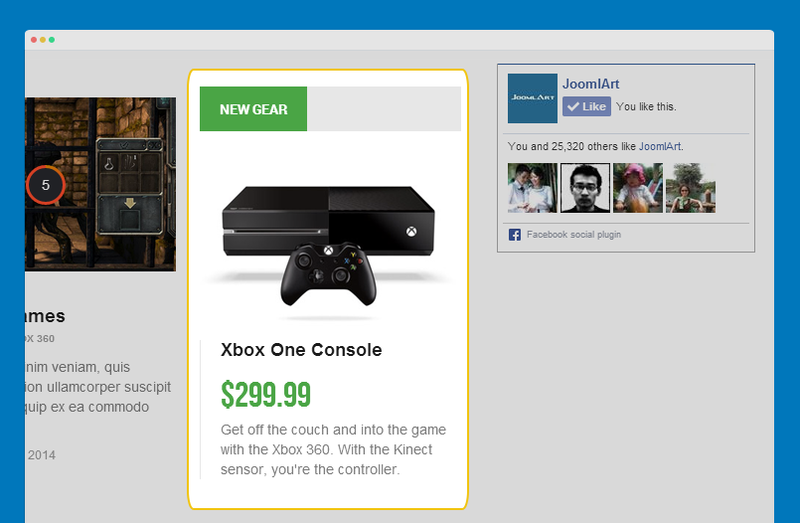 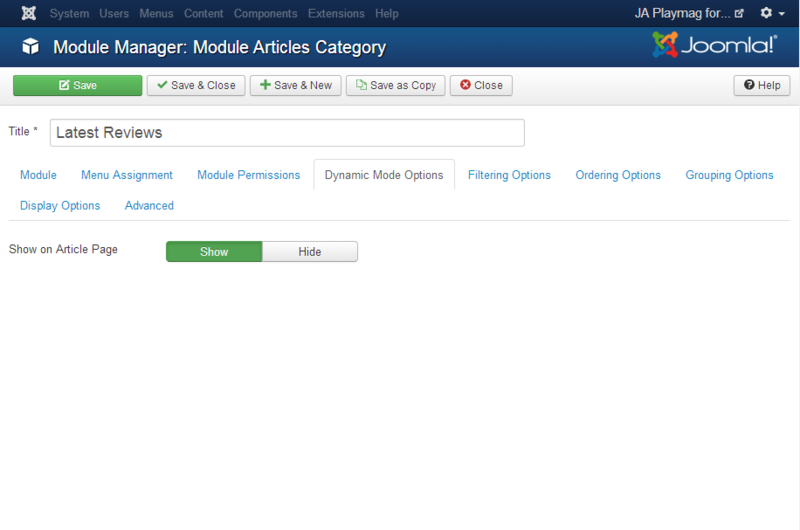 The Banner Module displays the active Banners from the Component. 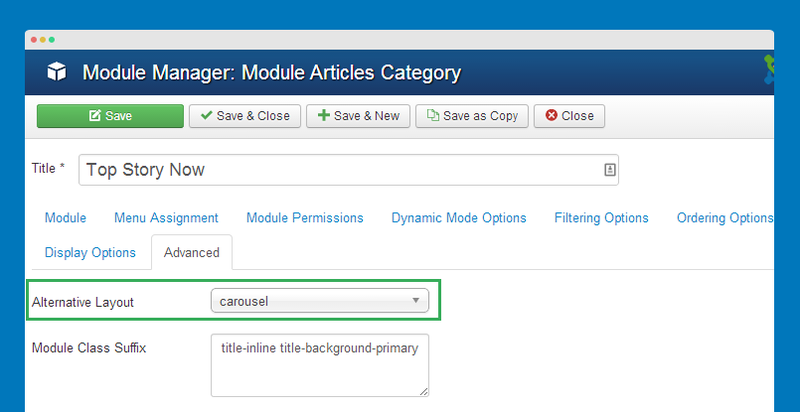 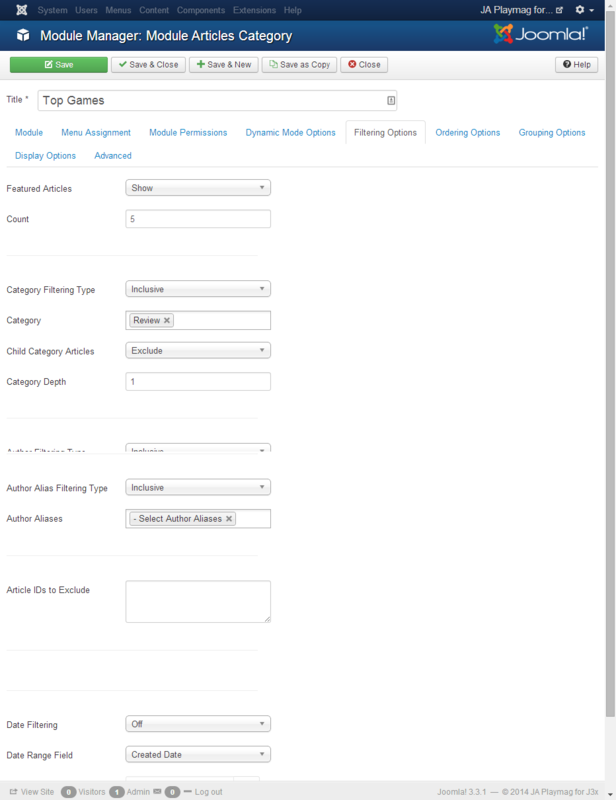 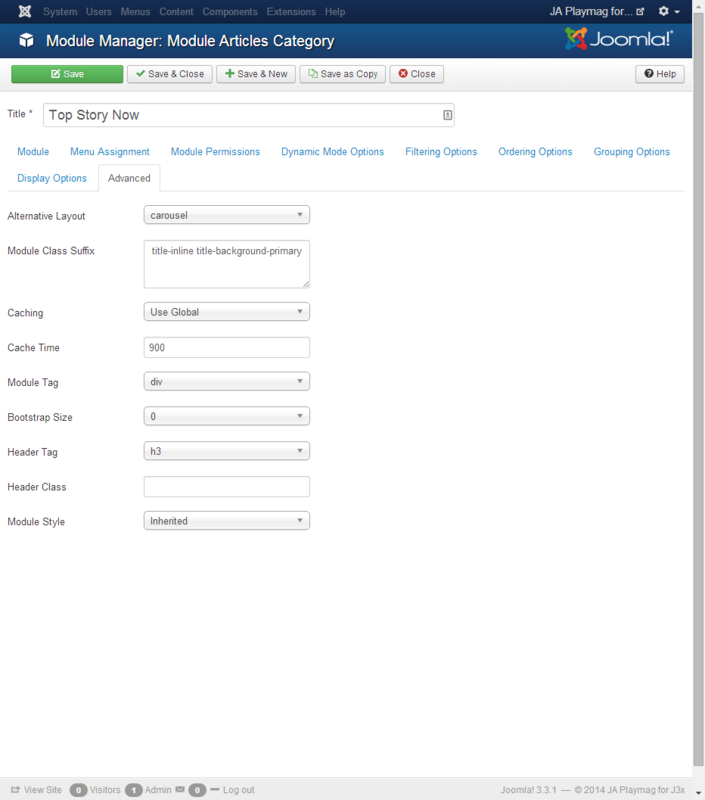 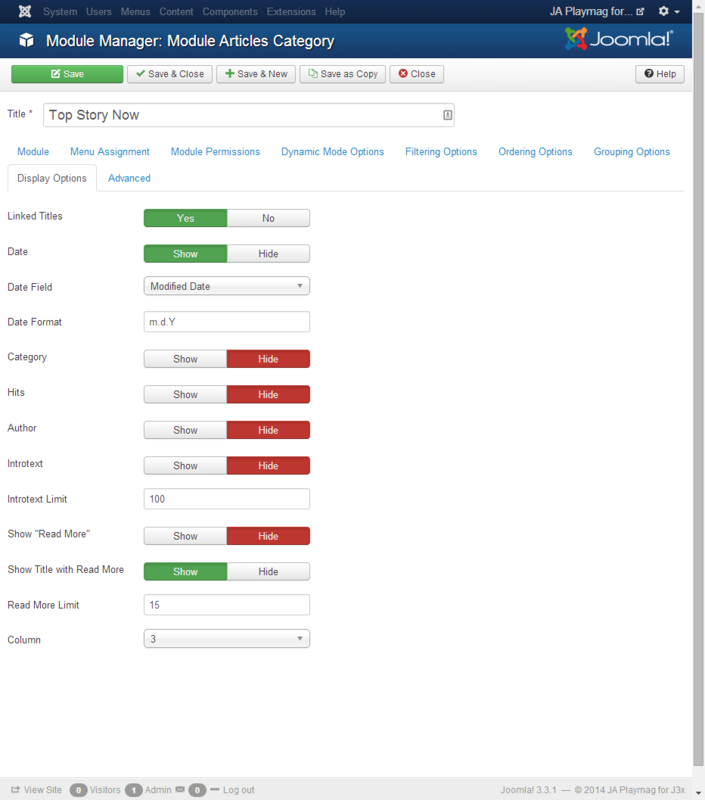 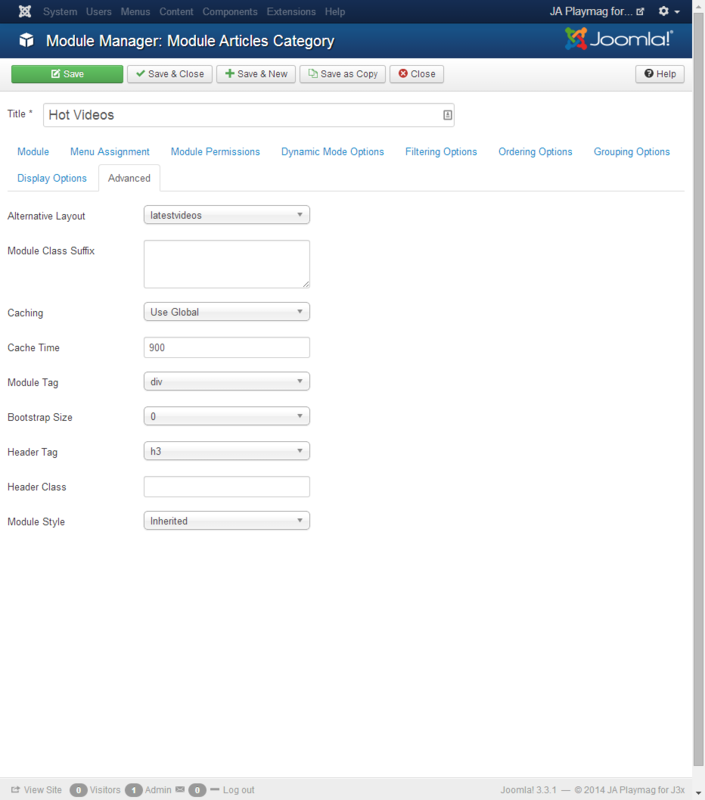 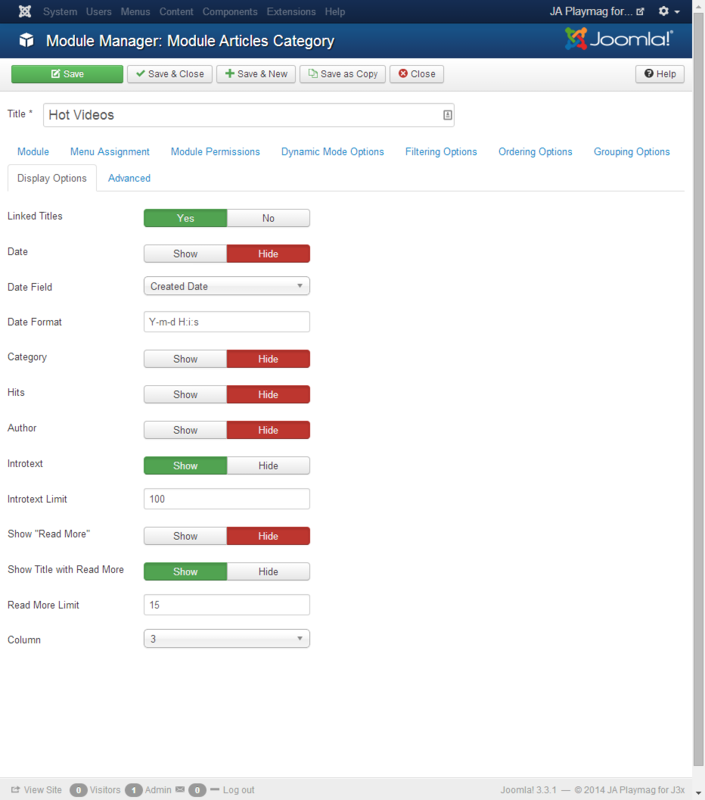 This Module displays tags used on the site in a list or a cloud layout. 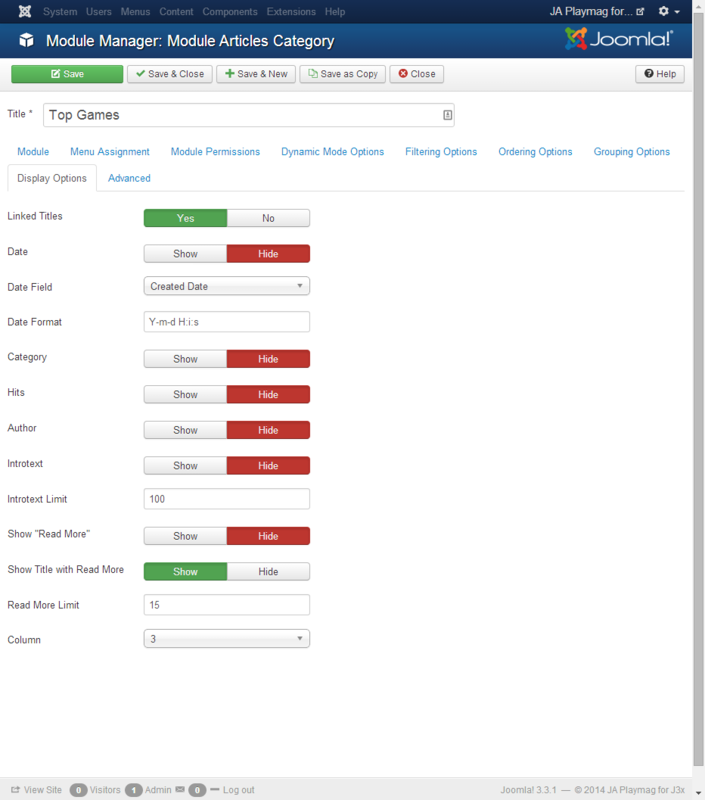 Tags can be ordered by title or by the number of tagged items and limited to a specific time period. 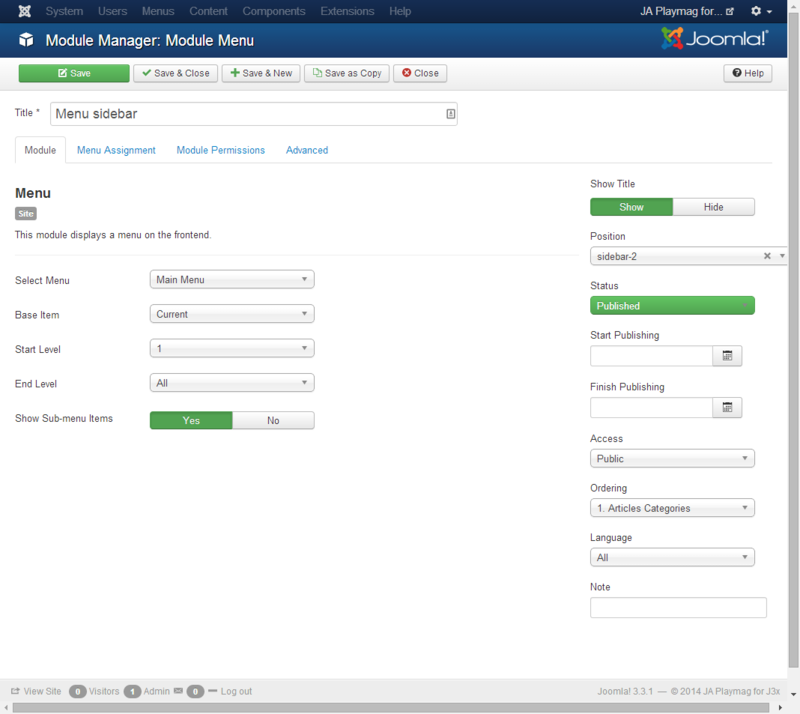 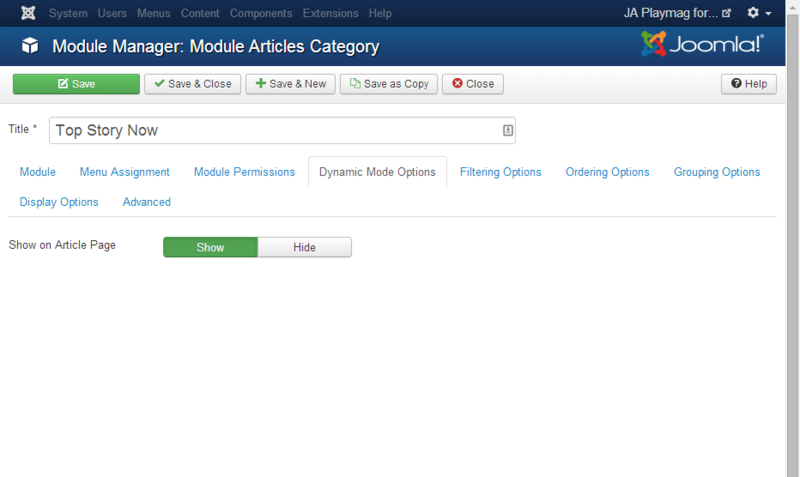 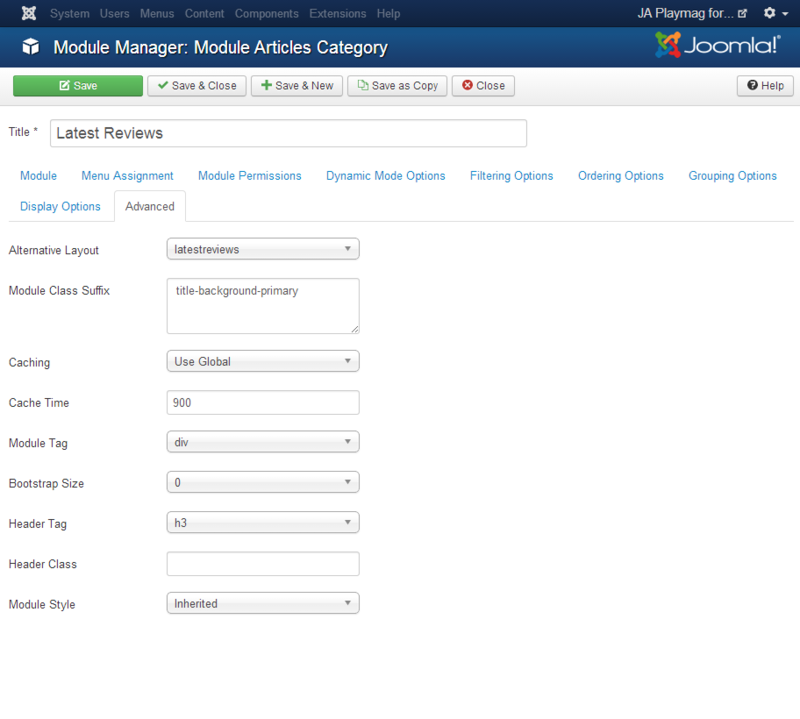 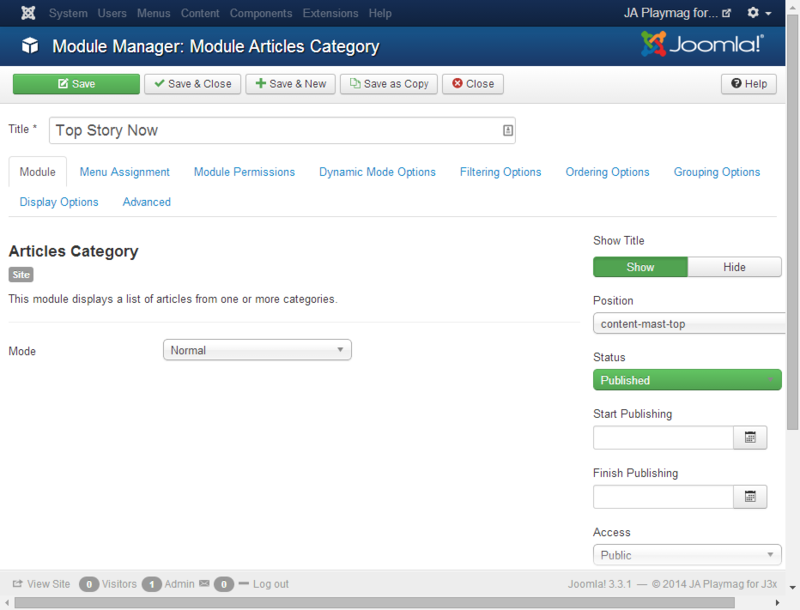 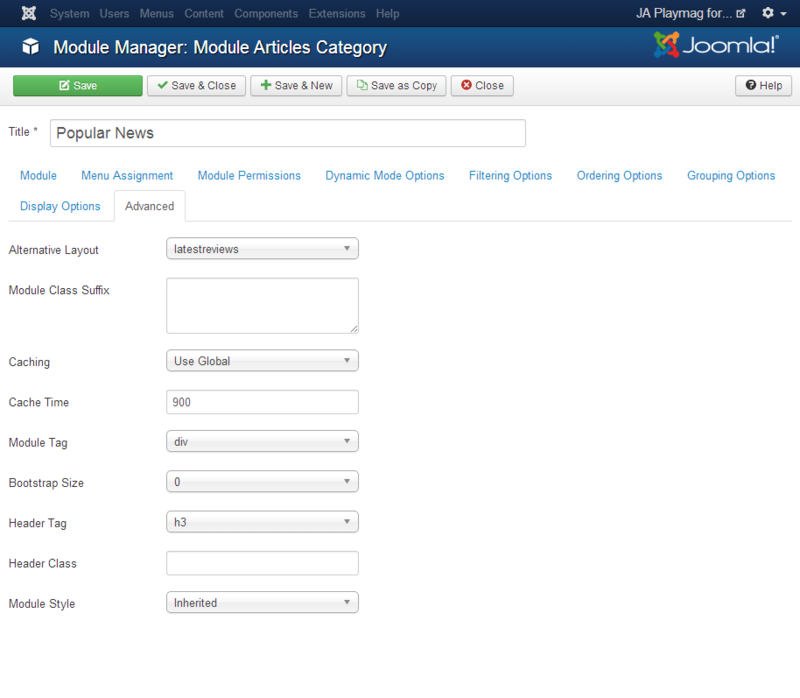 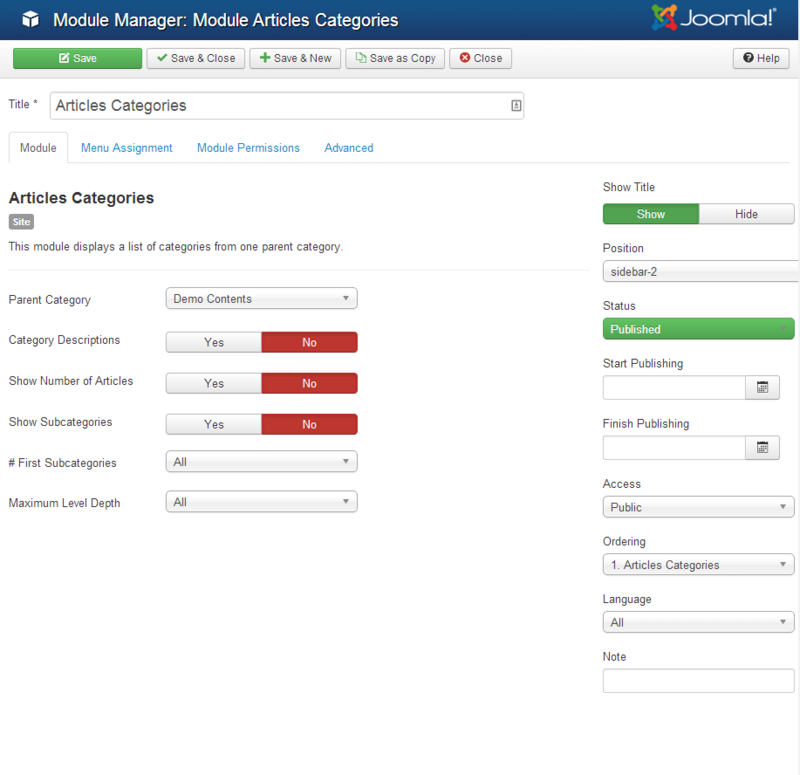 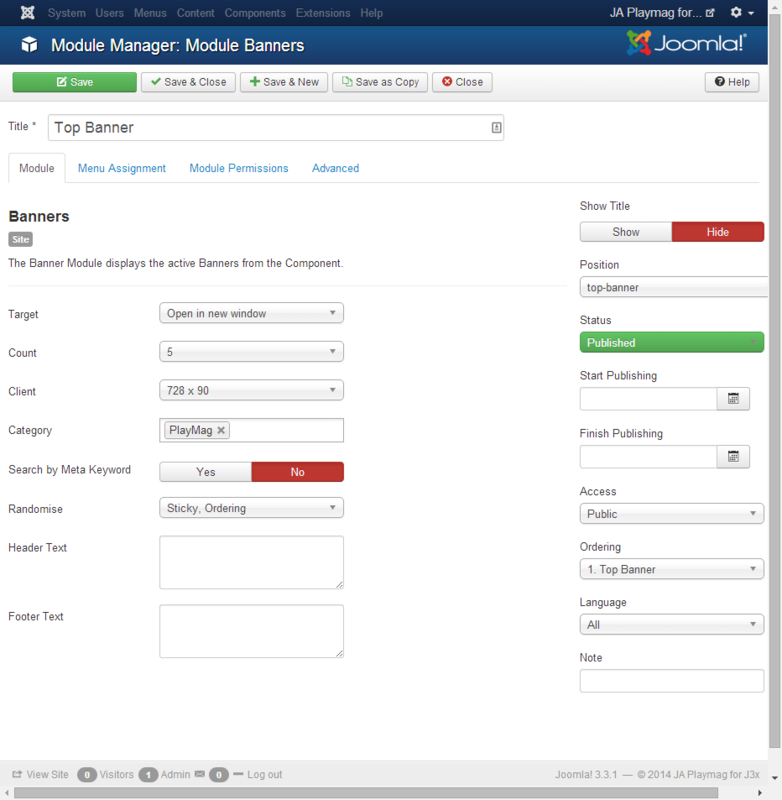 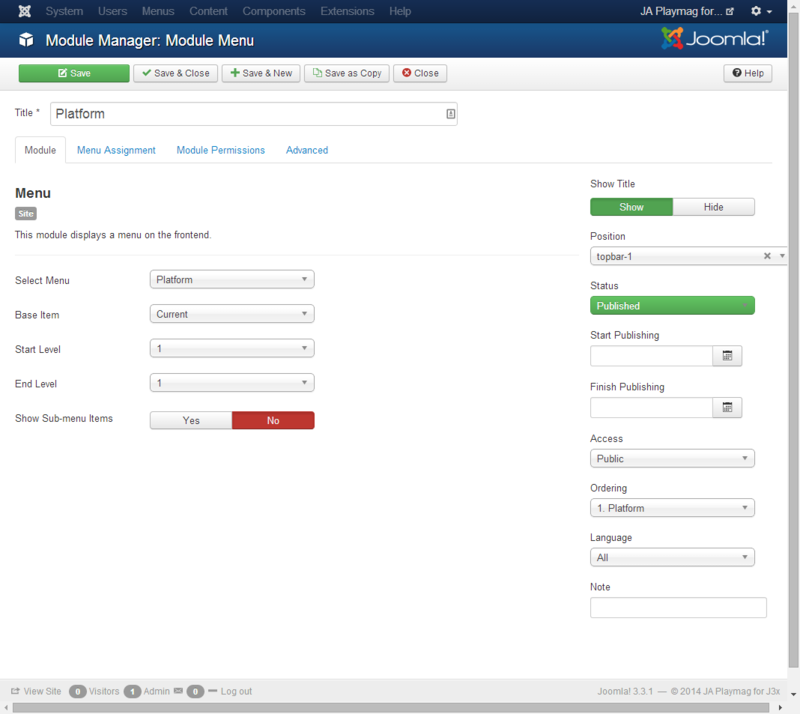 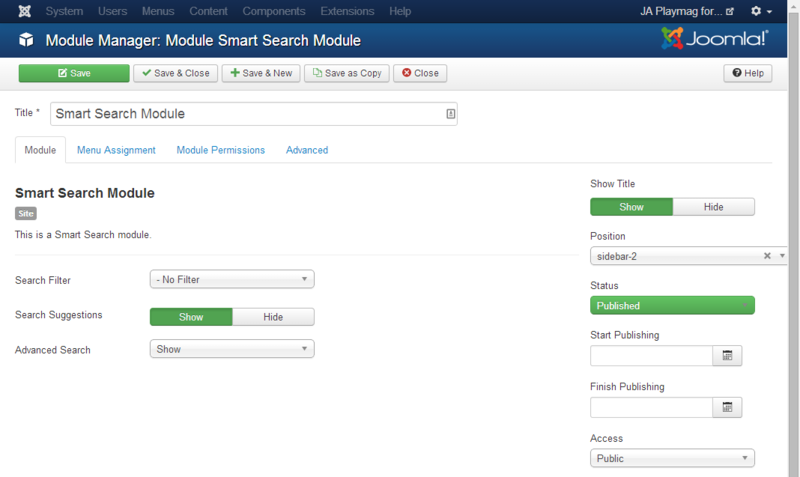 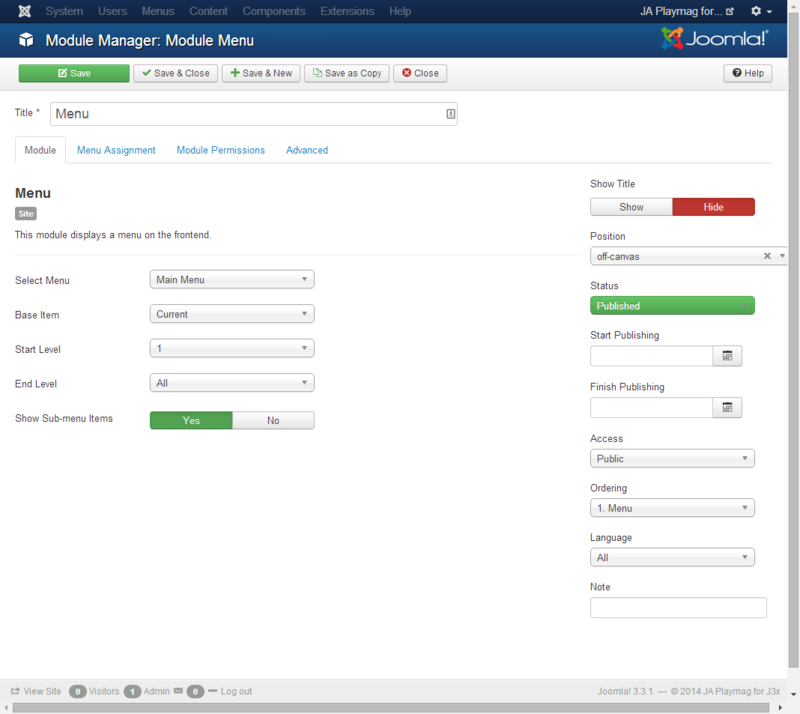 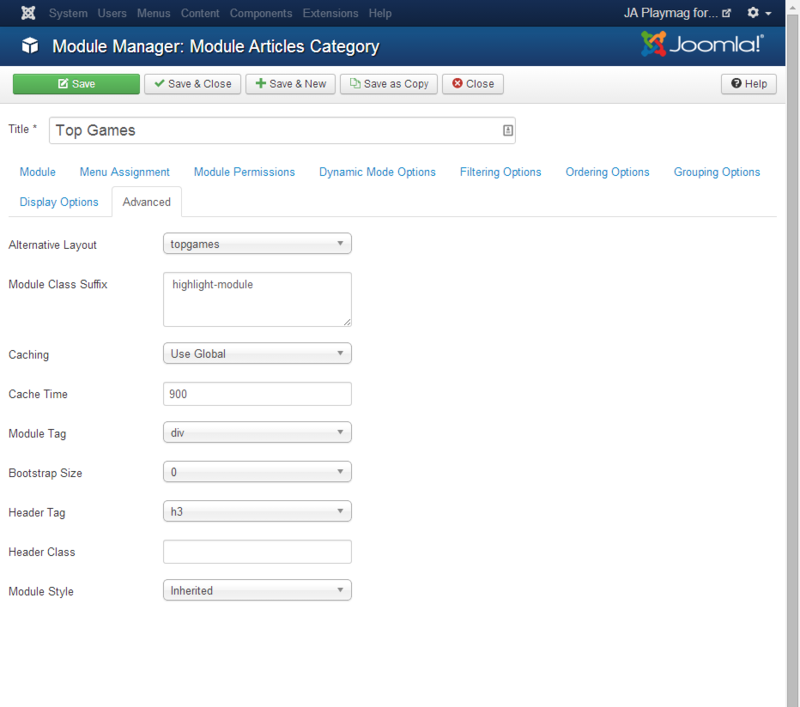 The module is only for Joomla 3. 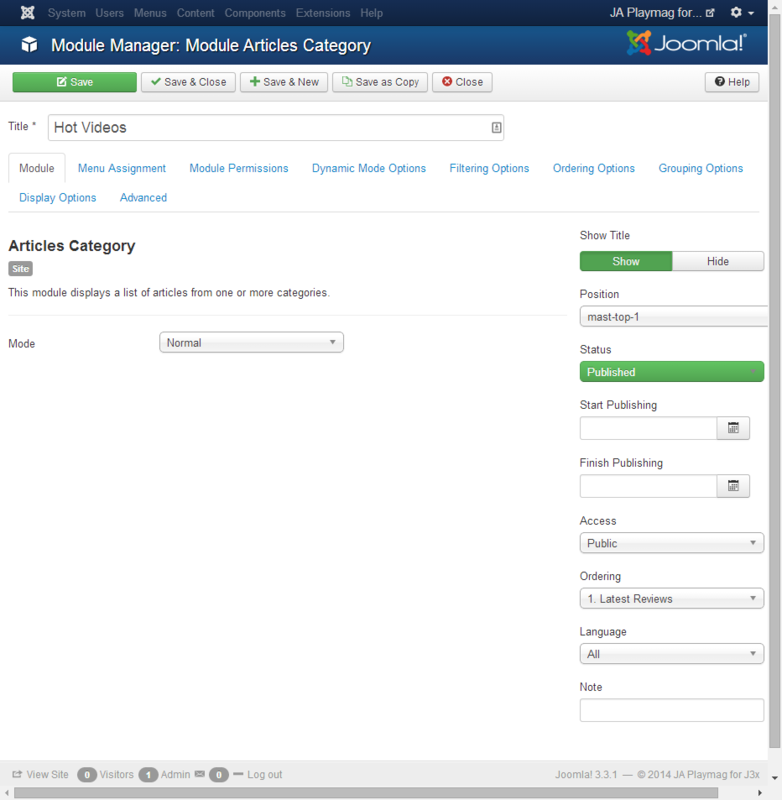 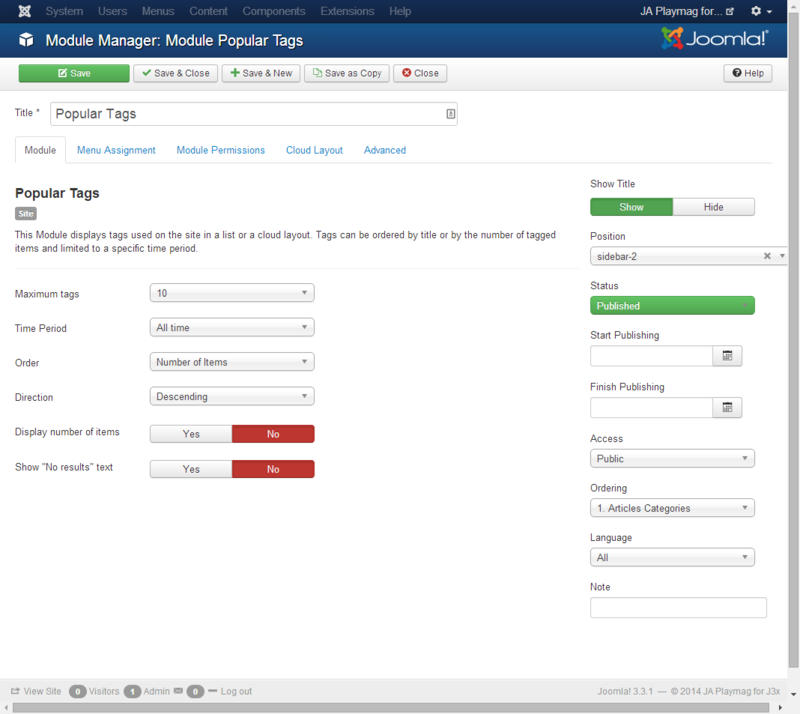 As Joomla 2.5 does not support Tags at core. 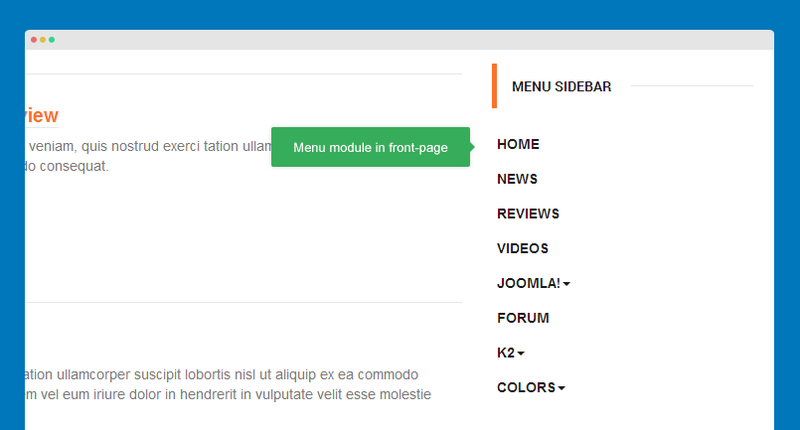 This module displays a menu on the front end. 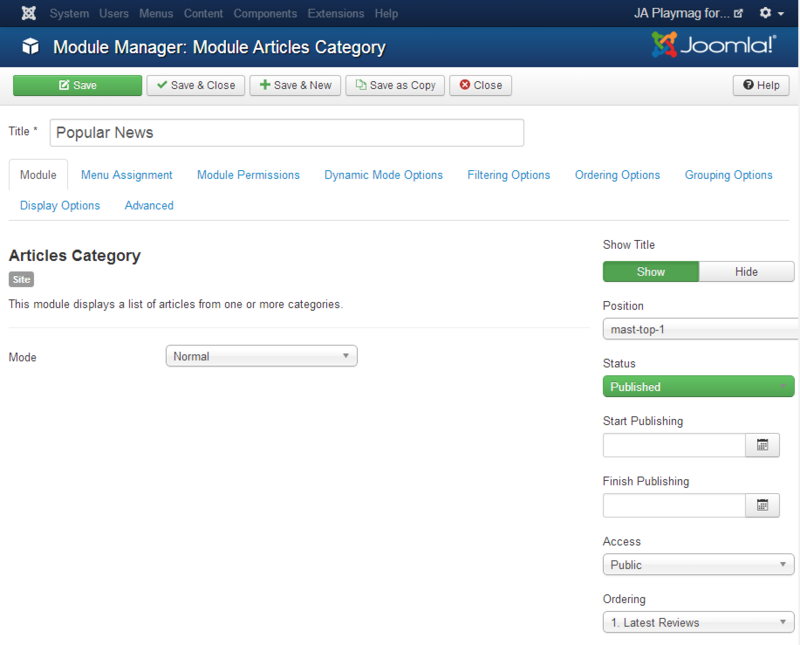 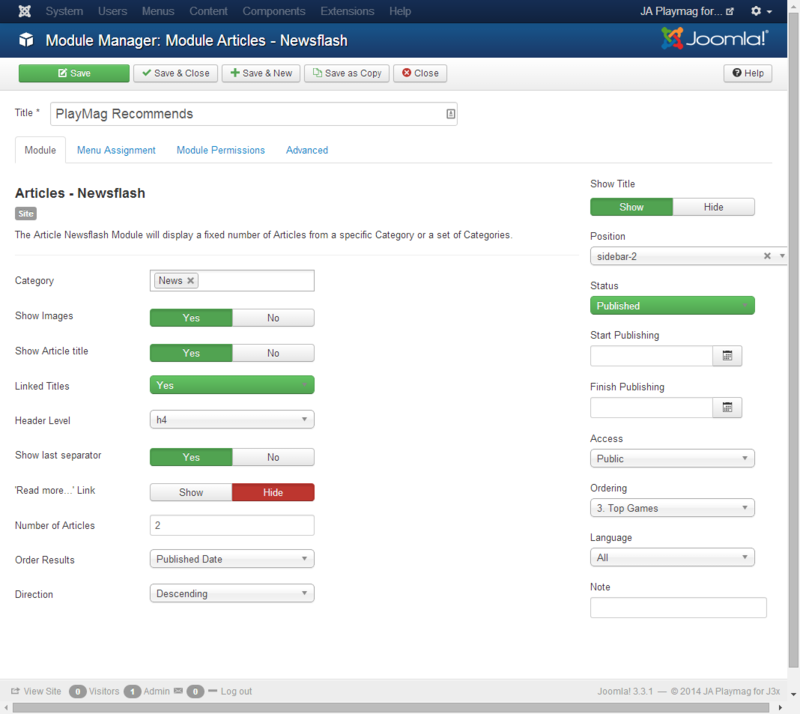 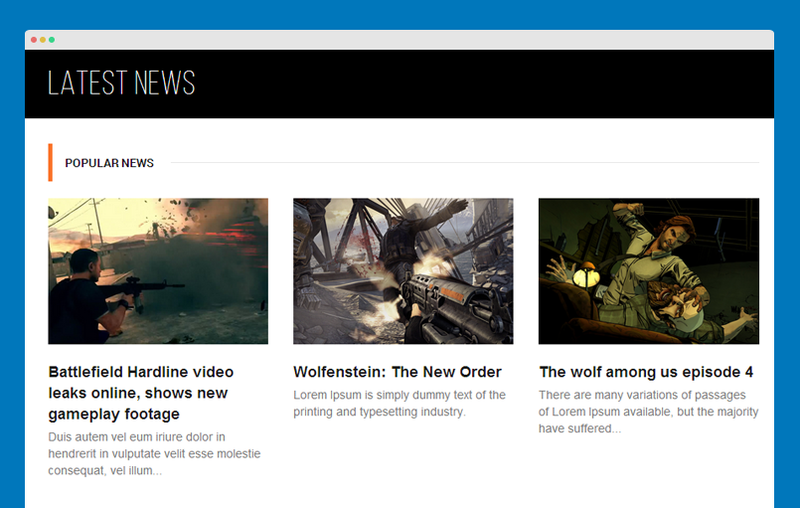 The Article Newsflash Module will display a fixed number of Articles from a specific Category or a set of Categories. 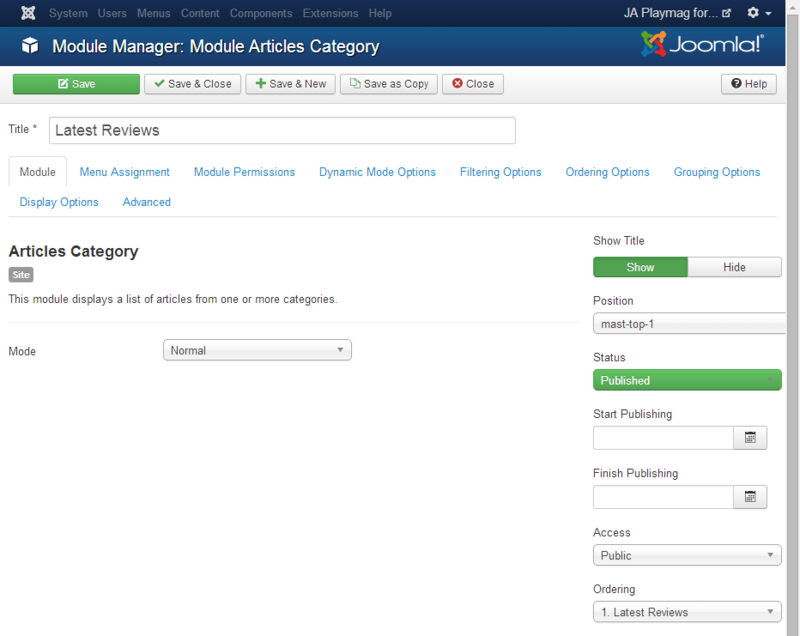 The module uses "recommends" alternative layout that is customized from default layout. 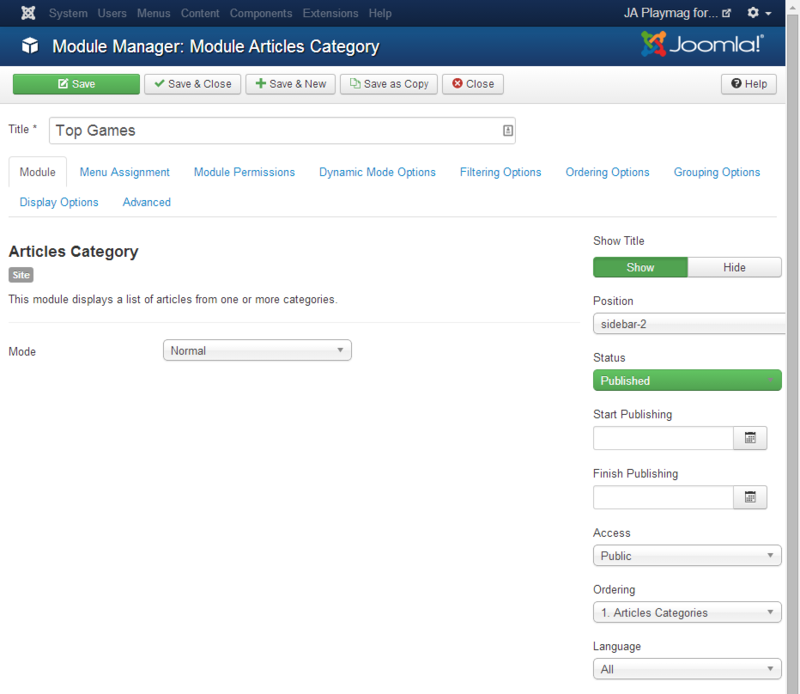 To configure alternative layout, from the module back-end, open the "Advanced" setting panel, select "recommends" for "Alternative Layout" field. 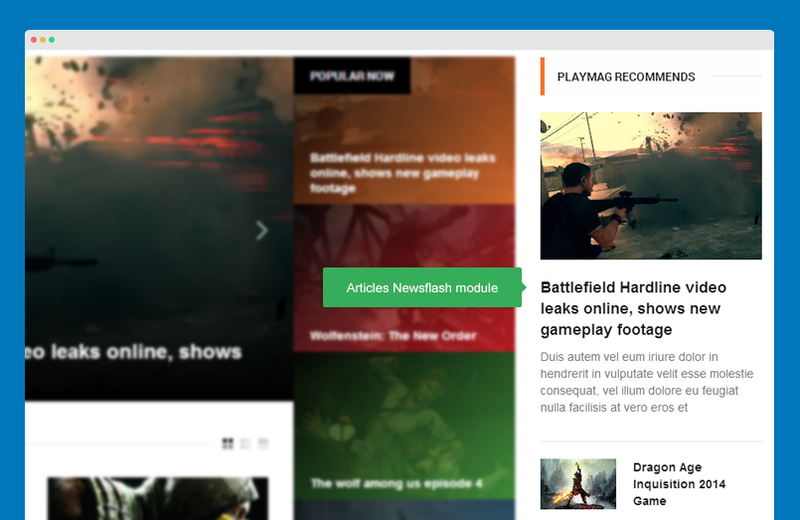 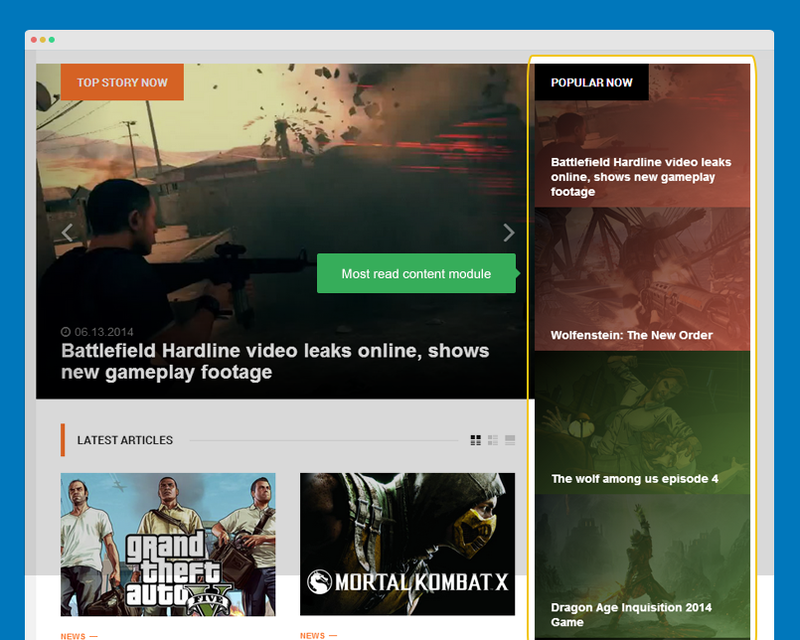 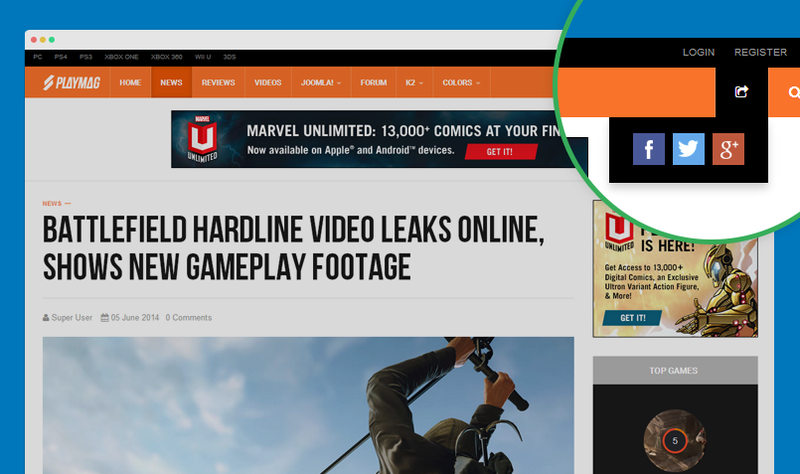 The layout is located in templates\ja_playmag\html\mod_articles_news. 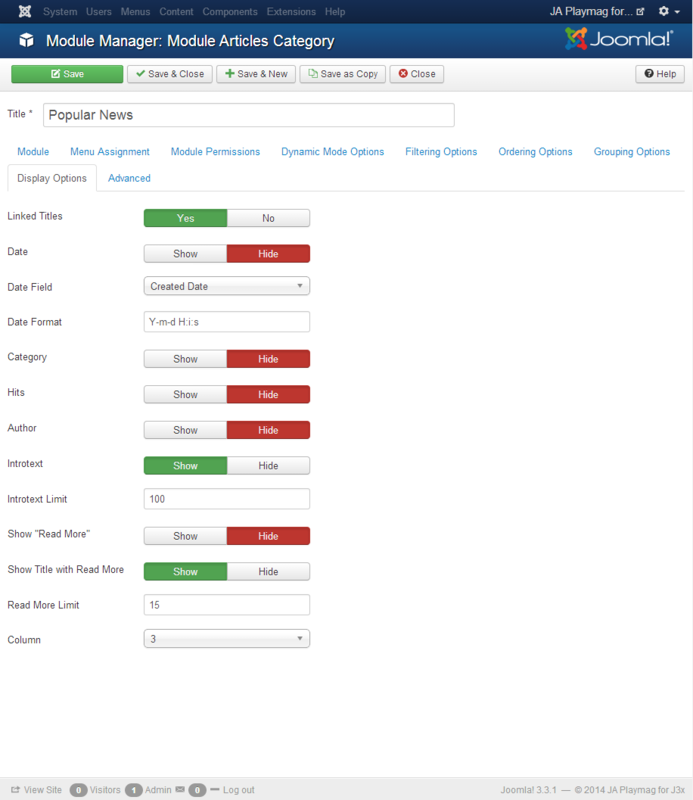 There are 2 files in the folder.